I’ll be honest, we’re not the biggest Halloween fans around here. 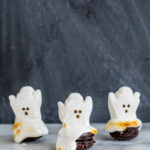 While we love a good excuse to over-indulge in candy while we dress up, we clearly don’t gravitate toward “scary” or the darker color palette. 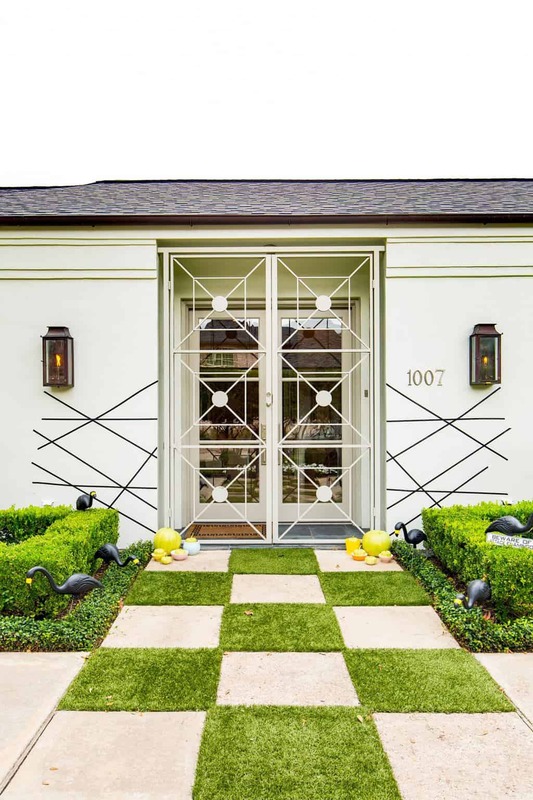 So, when I came across these adorable black flamingos, my mid-century obsessed spirits (get it? spirits?!) were so pumped! 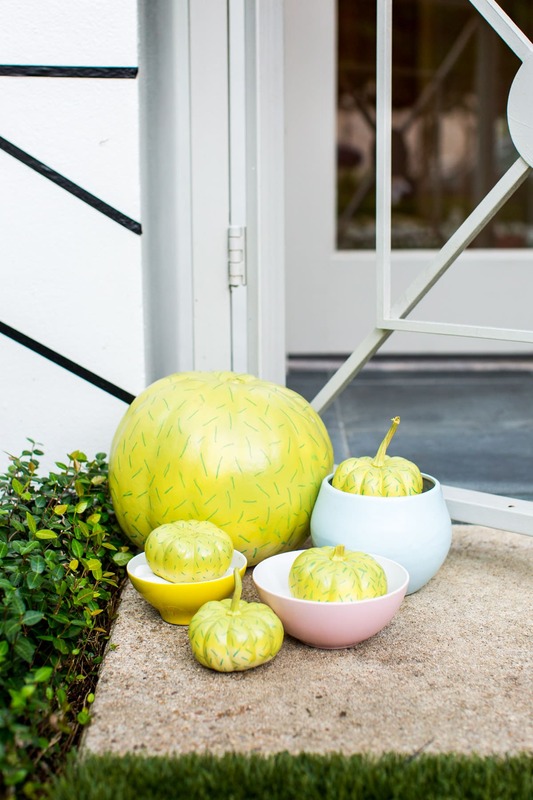 I paired them with a few of our other favorite Palm Springs inspired Halloween entryway decor ideas to create the perfect retro entryway. We also managed to find one of the coolest mid-century exteriors (#housegoals) in Houston AND convince our friend, Rachael, to let us shoot at her house. 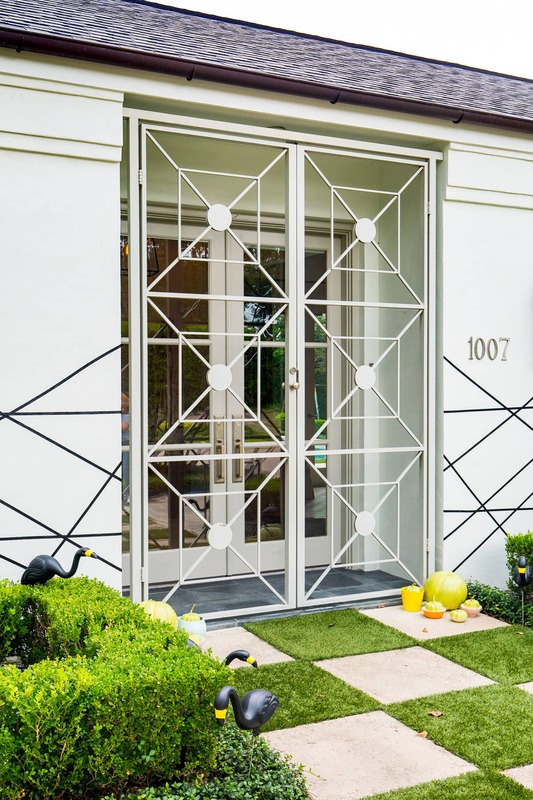 We used black washi tape to create the abstract web pattern around the door, painted pumpkins to look like potted “cacti”, and an “beware of attack flamingos” sign, because why not?! What do you all think? Are black flamingos creepy.. or brilliant?! I’m definitely thinking the latter. I also did a little internet-digging for some other spooky (yet glam) accessories and was surprised by how much I loved! Definitely putting this black branch wreath on my front door. 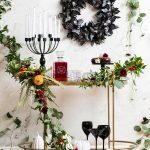 Planning to replace all orange decor with pretty coppers — like this gorgeous cocktail set. These striped straws add the perfect punch for fall. 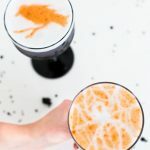 Love the idea of a creepy cocktail in these old-fashion glasses. This copper cauldron would look even better filled with candy. Striped linen napkins are a necessary staple. 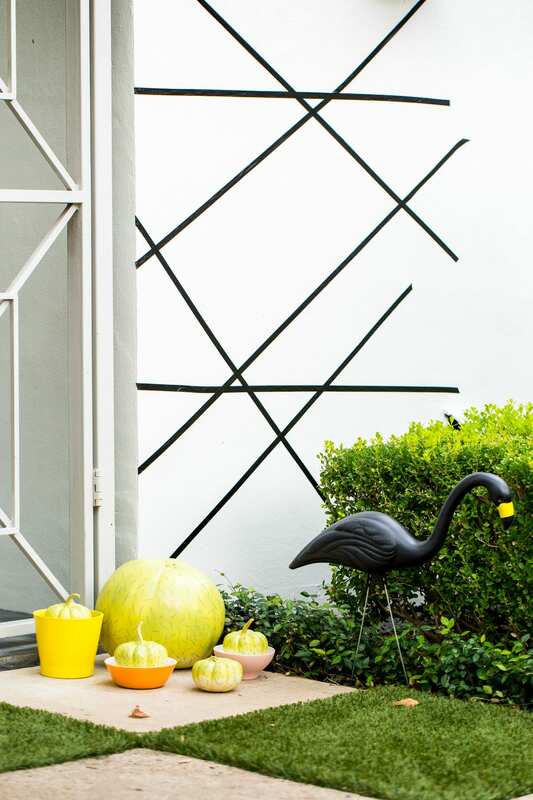 Totally fan-girling over these cement candle holders! Inspired by these black flamingos to create a spooky Palm Springs. The cutest ginger beer ever. And finally, Copper martini glasses are a must. Let’s face it, we’re hard-pressed to ever turn down a good metallic addition (#staycopper) and a reason to celebrate. 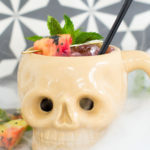 This year we have big plans to dress up, have some creepy cocktails, and enjoy the night with some friends! What are your plans? Im totally into the black flamingos! So glad, Edith! They were definitely our find of the Halloween season..Palm Springs forever, ha! 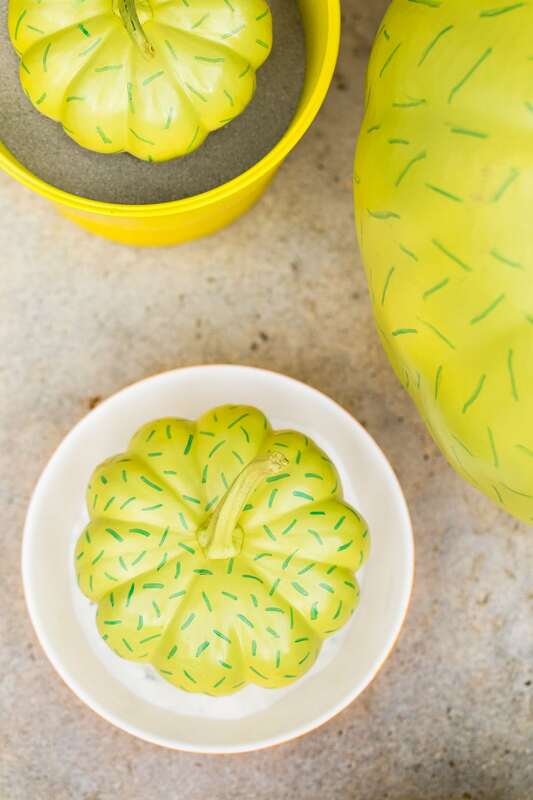 Love those pumpkins so much! Thanks, Natalie! We’re a sucker for anything cacti! So glad you like the concept, Sahara! We’re die hard Palm Springs fans..
Lovely! Those pumpkins, just wow.. 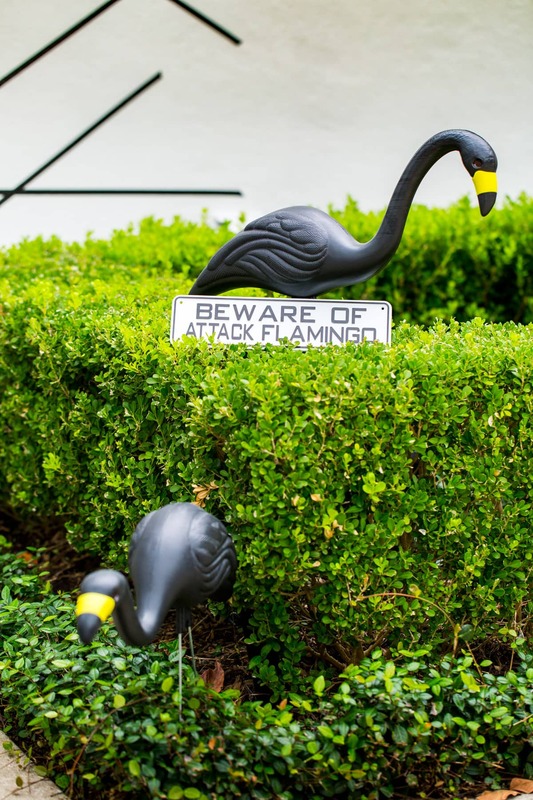 The black flamingos are definitely brilliant – a great choice! 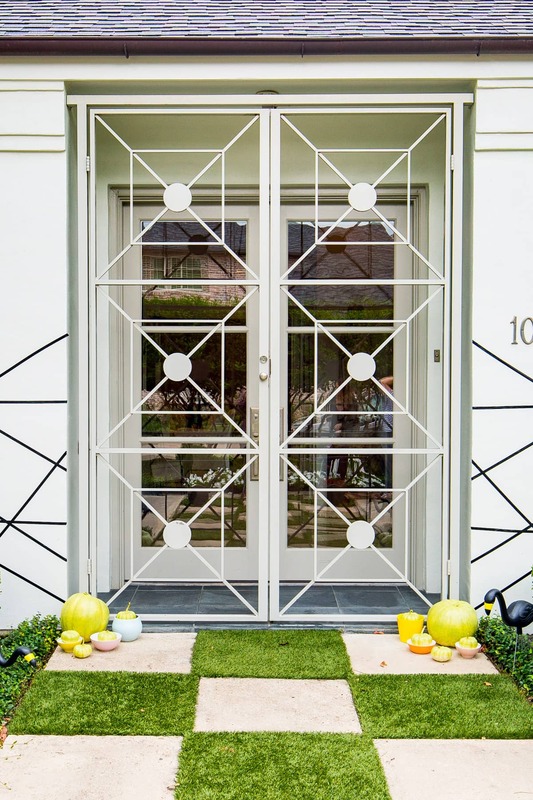 You’ve done an amazing job dressing it up but we also love the tiled grassed entrance too. A fresh, retro welcome to the property is always a winner. Love your work!